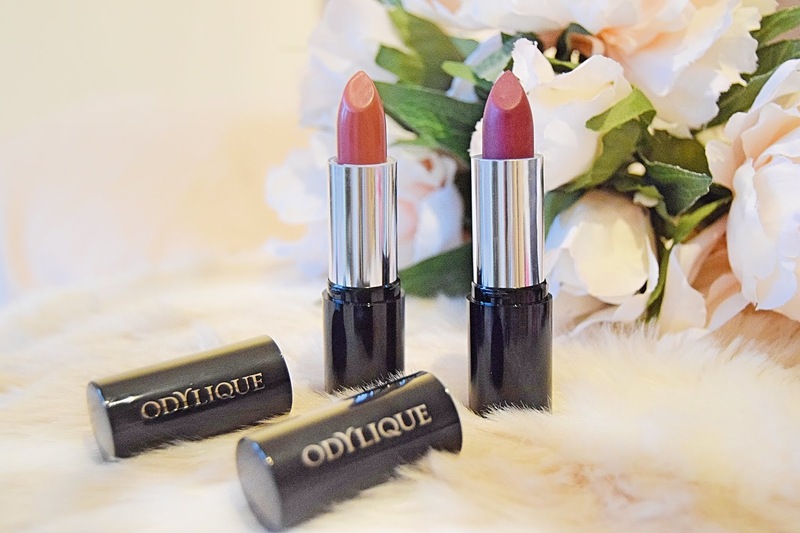 Welcome to another brand focus on a company I'm very excited to be sharing - Odylique. I've been lucky enough to try, test and review the stunning lipsticks Odylique have to offer and it's only made me want to try MORE of the range, alongside their other products. 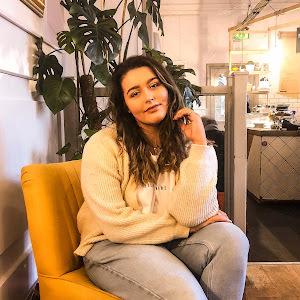 The amazing benefits and the ethics behind the brand are the two main reasons why I adore Odylique so much - I cannot wait to share this brand with you in the rest of this post and express the many factors on why I've fallen head over heels for them! So one of the main reasons why I was excited to work with this brand is because of its history and the reasons why they chose to create the products. Being someone with extremely sensitive skin, I knew that this brand was for me. Odylique centres around formulating the perfect skin and cosmetic products for sensitive skin sufferers. Thus, all of the products are made from natural ingredients - organic herbs, natural active ingredients (no nasty artificials!) and plant oils. 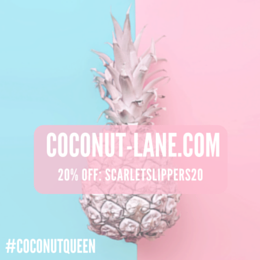 Margaret, founder of the company, has honestly made a break through with her lipsticks, and I'm sure the same goes for her vast range of skincare available on the site. The expanding knowledge surrounding harmful ingredients in cosmetics and the importance of using only organics spurred Margaret to create this amazing brand, which has been in the making for a lengthy 30 years. In regards to packaging, I absolutely love the sleek, sophisticated and simplistic look of the lipsticks. The black packaging, paired with the silver gives a classy feel to the brand. Additionally, I'm a huge fan of the cardboard boxes that the lipsticks come in. Floral monochrome patterns and beautiful silver foiled writing further add to the luxurious (and ethics) of the brand. Odylique have also incorporated fair trade and responsible packaging, in aid of supporting safe and healthy working conditions. Onto the most exciting part of the post...my opinions on the lipsticks! 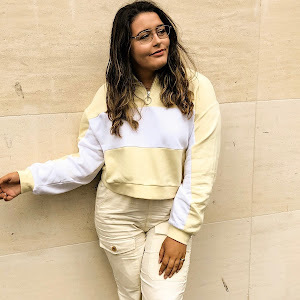 I was super excited after reading all the information about the brand and hoped that the actual products lived up to the expectations I had. I have to say, they did NOT disappoint! I've been wearing these lipsticks for the past couple of weeks to university and I can't believe how nourishing the product feels on my lips, especially during the colder months. My lips have felt less chapped and extremely moisturised, which I never really find after wearing cosmetics all day. I also love how natural the colours are for everyday use. Peach melba is a stunning coral, peach tone that brightens any look, whereas Raspberry Coulis is a deeper purple, ideal for evening wear or a bolder look. Although the lipsticks give a medium pigment, the colour is super long lasting. 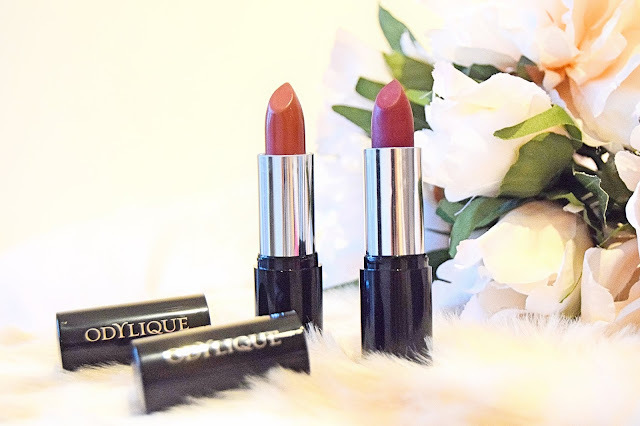 I honestly think these lipsticks would be the perfect stocking filler for any makeup lover, even better knowing they are an ethically-inclined brand too! 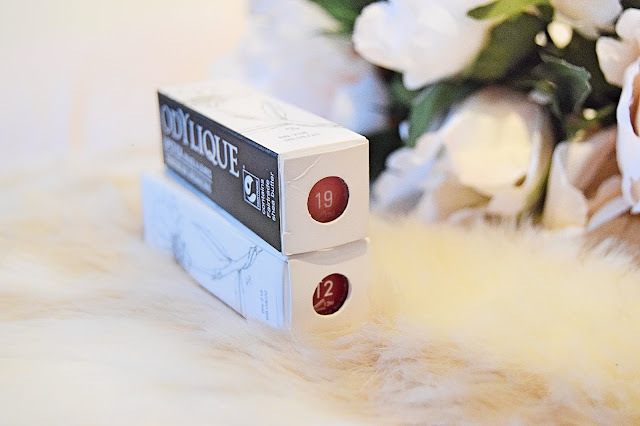 Odylique have been a dream to test and I cannot wait to get my hands on some of their skincare in the future. What are your favourite organic brands? 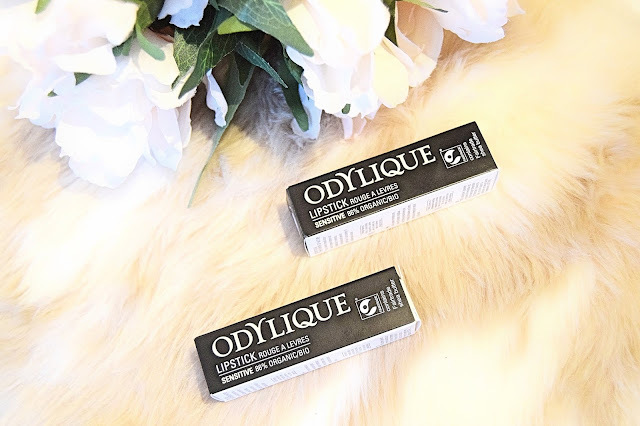 Do you want to try Odylique products?